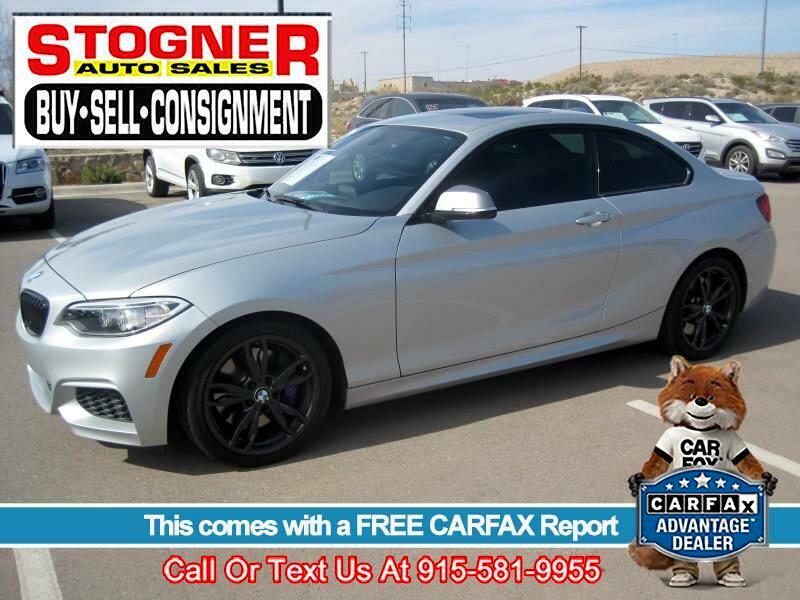 CHECK OUT THIS RARE FIND, 2016 BMW M235i SUPER CLEAN LOW MILES, LEATHER,SUNROOF, HARMON/KARDON STEREO, ITS THE M SPORT PKG, VERY FAST AND FUN, FULL FACTORY WARRANTY. CARFAX 1 OWNER NO ACCIDENTS,CLEAN TITLE. YOU WONT FIND A NICER ONE, LOCAL CAR.